Over the years, our volunteers have been encouraged and blessed to watch as God comforts and restores broken and hurting women through Caleb Ministries and its Outreach Ministries. It has been a journey orchestrated by God…. On Sunday August 5, 1990, Sandy Day was sitting in her church choir loft when God placed a burden in her heart. Her heart ached to share God’s comfort with women like herself who had suffered deep, painful losses. In 1988 Craig and Sandy had experienced God’s comfort during the loss of their precious son, Caleb. In the days that followed, both she and her husband gave prayerful consideration to the organization of a ministry to others who were experiencing sorrow. That ministry would be named in memory of their much loved and missed son. In the early days of Caleb Ministries, Sandy had many opportunities to travel and share her testimony of God’s comfort through His Word. Sandy’s transparent truthfulness about her struggles impacted the lives of countless women who have attended these conferences and retreats. After only one year of ministry, Caleb Ministries expanded to include a personal one-on-one ministry to women who had experienced miscarriage, stillbirth, early infant death or infertility. The story of Caleb in Numbers 13 and 14 from which the name Caleb Cares emerged, provided insight for this ministry to the sorrowing. It was at this time that Caleb Ministries became a 501(c)(3) non-profit Christian organization. Even as Sandy was ministering to other women, God continued His convicting work in her life. Through His Word, God showed her that in order to minister to others, she would have to allow every area of her life to be exposed to the light of His truth. God continually exposed hidden areas that required her repentant confession in her growing walk with God. As she responded to God’s refining fire, the ministry grew with her. In 1993, two years into the ministry of Caleb Cares, Sandy compiled nine stories of individuals who had experienced the loss of a child and received God’s restoring grace into the book entitled Morning Will Come. Volunteers scanned the obituaries of local papers and sent copies of the book to women who had lost children. The response was overwhelming. With 10,000 copies in print, letters came from women around the world with testimony to the encouragement it had brought to them. In was the summer of 1995, God brought still another dimension to Caleb Ministries. God led nine women to call the ministry who had lost babies, each indicating that they had experienced a prior abortion. As Sandy ministered to these women she realized God wanted to use her own abortion, at age 19, to help other women. In response to God’s conviction, Sandy confessed her abortion to her father, opening the door for complete family restoration. Through this difficult time, God prepared Sandy to talk publicly about the short and long-term affects of abortion. 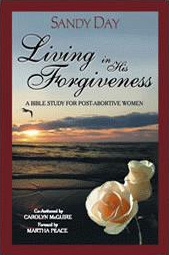 Her story exposes long held secrets and touches those who hear of the forgiving power of God. The P.A.T. (Providing A Treasure) Ministry began in 1997 with a passion to assist a grieving woman or couple in a loving, yet practical way. The P.A.T. box includes a burial gown, bonnet, blanket, as well as a Caleb Cares brochure, an envelope to hold a lock of the baby’s hair, and a copy of Morning Will Come. These items are wrapped in acid-free tissue paper and tucked in a precious box that parents will treasure through the years. P.A.T. boxes are provided to hospitals and funeral homes across the US, and make their way into the arms of those who, tragically, have no child to bring home. The boxes are also available by individual request. Abbey’s Place, our post-abortion ministry, got underway in 1999. Its goal is to provide support and guidance to women who are struggling with the guilt, pain, and grief of a past abortion decision. Our hope is that each person God sends to us will achieve spiritual and emotional restoration through Christ. Toward that end, a third book is being prepared to minister particularly to this growing segment of the population. The book, Living in His Forgiveness, will present stories of men and women who have successfully moved past their pain to find freedom. An accompanying Bible study will guide the seeking heart to discover God’s redeeming truth. Publication is expected in 2002. In January of 1999, Craig Day followed his call to the pastorate and seminary training, and Craig in 2002 graduated with a Master’s of Divinity Degree from The Master’s Seminary in California. Craig helps in various functions in Caleb Ministries and is now a Certified Biblical Counselor with the Association of Certified Biblical Counselors. 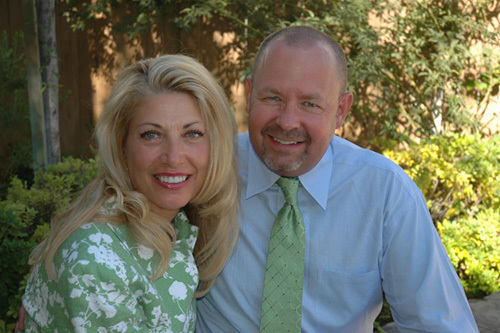 Sandy is also a certified Biblical counselor with the Association of Certified Biblical Counselors (formerly N.A.N.C. the National Association of Nouthetic Counselors). In 2009 Caleb Counseling began and it is a priviledge to help minister the Truth of God’s Word to the lives of many here in North Carolina through biblical counseling. You can visit this website at www.calebcounseling.org. Since its beginnings in 1990, Caleb Ministries has flourished as God has led us to use the books, Bible studies, and counseling resources He has put together for His glory. Faithful men and women, hand-picked by the Father, serve as Board of Directors, ministry coordinators, and volunteers. We count it a privilege to continually help families who are struggling with difficult seasons and situations and to nurture them in the Word of God through Bible centered resources.